How do I import grid sets in Grid 3 from one language into another? How can I access the latest languages in Grid 3? How do I get started with Message banking in Grid 3? How do I import banked messages into Grid 3? 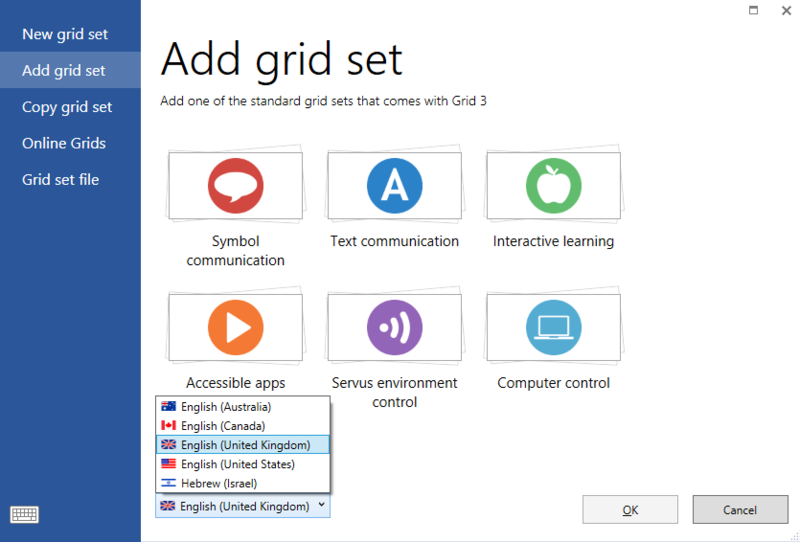 To access the latest languages in Grid 3, make sure you have updated your software either in Grid 3, or by running Smartbox Update found in your Start Menu. Once updated Grid 3 will restart and the user interface will default to the language of your operating system. Translated grid sets for your language are also added as part of the update and can be added to any user. Note that you can add grid sets in multiple languages, which could be useful if you or your family are bilingual. How do I set voices in my language? Once you have updated your language, you will need to set the correct voice so that the pronunciation works. To download voices in your language, follow the Downloading new voices guide, selecting your language will show all available voices. Depending on your language, Grid 3 will have several voices already licensed, other voices can be trialled for 60 days and purchased from within Grid 3. How do I import my old grid sets into my language? You can also add grid sets in your language by using the language selector on the Add grid set window.